We don’t just serve coffee at Everybody’s, we have a slect assortment of teas. Fan favorites include Mystic Mint and Hibiscus. A gawain? What sorcery is this? Don't panic, it's just a making tea in a bowl with a lid the way they used to do during the Ming Dynasty. Barista extraordinaire and tea enthusiast Hannah Wright shows us how it's done. No sorcery, just saucery. We’ve Got Cold Drinks for Spring! 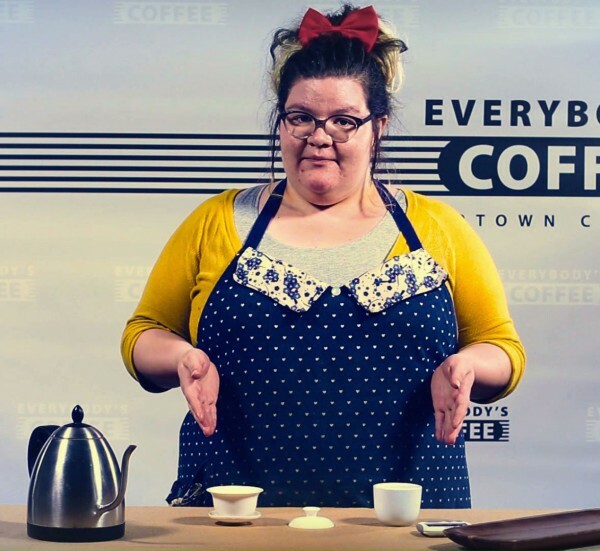 Spend five minutes with our multi-talented barista Hannah as she tells you everything you need to know about tea! Hannah Wright is an expert pourer of latte art, a coffee brewing specialist, and an enthusiastic brewer of tea. You don’t want to miss this.